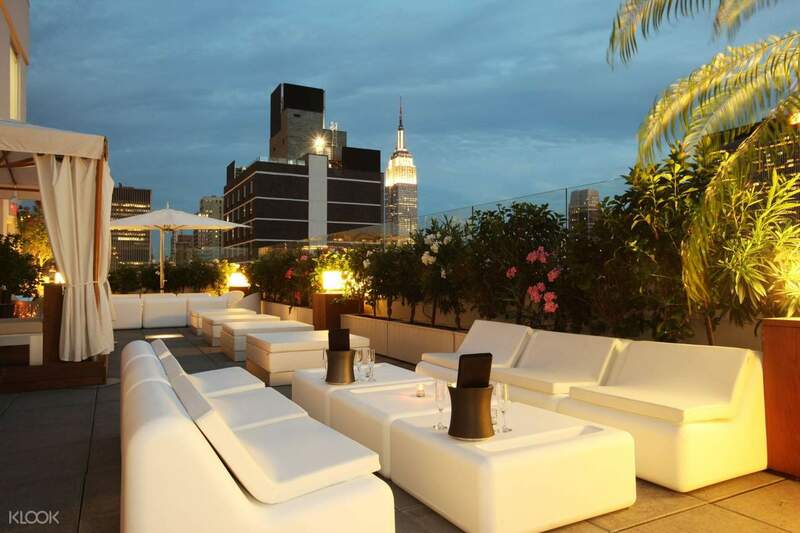 Enjoy the dynamic nightlife of New York City while under the stars at Sky Room! Dance the night away with young people from all parts of the world when you book an admission ticket through Klook! Take partying to the next level with a visit to the Sky Room! 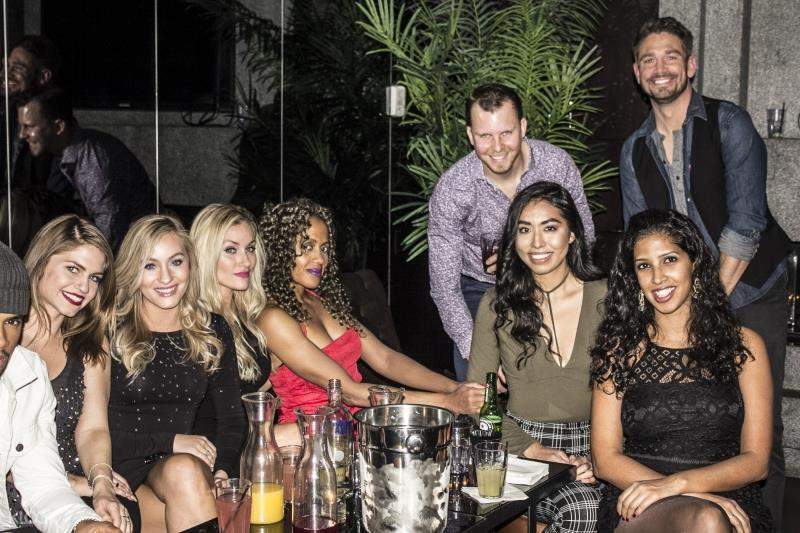 Make your way to this high-rise open-air bar in Midtown West for a night full of dancing and drinking while under the stars. Enjoy the upbeat energy of the crowd as you set foot inside the rooftop club, regarded as one of the highest lounges in New York City. Marvel at the stunning vistas of Manhattan’s city skyline, as well as the modern interiors boosting the cool vibe of the place. Take a seat at one of the plush couches by the balcony and enjoy meeting fellow party-goers as they come and go in droves. Once the clock strikes 10:00pm, put your dancing shoes on because a live DJ will turn up the place into one of the hottest dance scenes in the city. Feel comfortable despite the East Coast weather, thanks to the bar’s stylish all-around heating. Don’t miss this place and get a ticket through Klook today for instant access! 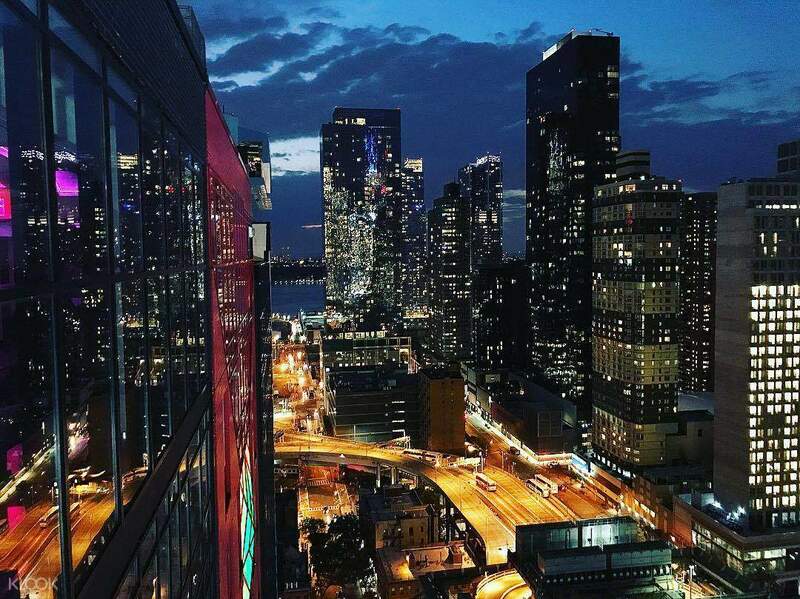 Experience the exciting rush of New York City’s nightlife when you book a ticket to the Sky Room through Klook! Wasn't able to make it due to medical reason, unable to reschedule or change date and was already out of time if they could. Better to purchase on the day of maybe? Wasn't able to make it due to medical reason, unable to reschedule or change date and was already out of time if they could. Better to purchase on the day of maybe?